(1) It has been recently noted that the flow of inspiration between the biological sciences and technology is usually one-way (Navlakha and Bar-Joseph, 2011). Technology has looked to nature for much of its inspiration, for example neural networks inspired machine learning approaches, and evolution inspired genetic algorithms (Bishop, 19967; Goldberg, 1989). 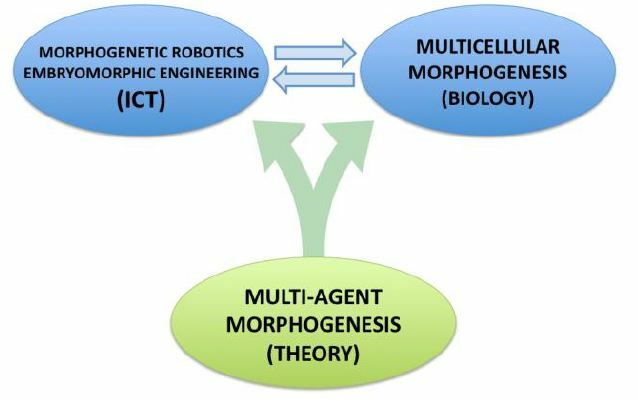 In parallel with this, developments in ICT have empowered biological research, and in particular dynamic computer simulations are now helping us to unravel the complexities of biological systems (Hester et al., 2011). However, examples in which both the biology and ICT have simultaneously benefitted are rare. Swarm-Organ directly addresses this issue. (2) In the field of swarm research, a number of biological systems have provided the main inspiration to date. Bird flocks, fish shoals and insect colonies are routinely cited within this field, and this last example (ant colonies) has been extremely fruitful in providing a new paradigm for computation, leading to the notion of swarm intelligence. 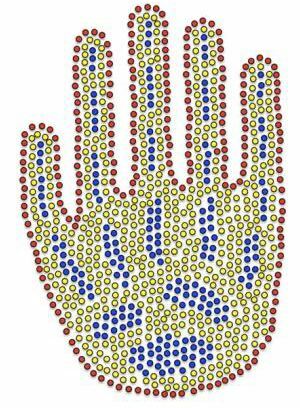 The system we investigate here – the biological development of large-scale swarms of cells exhibiting a spatially-controlled division of labour – is a relatively new area, for which little work has been done so far.